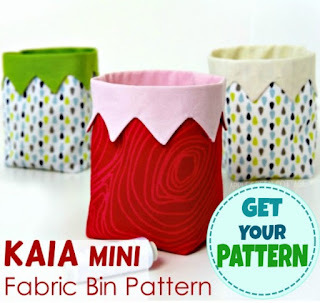 KAIA is a mini fabric bin pattern. 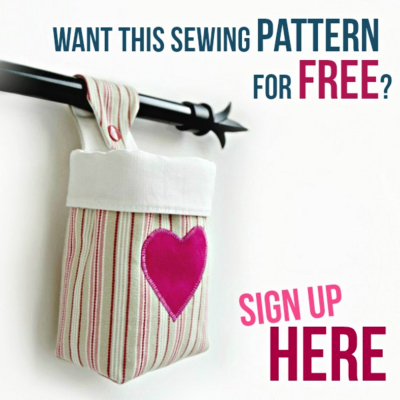 Let's start the day with an easy beginner sewing project. One that uses only little material and doesn't take a lot of time to complete, and something adjustable, simple and beautiful. I'm talking about the sewing pattern for this unique, adorably cute DIY mini fabric bin with a fold-over bunting top. Meet KAIA. Just the cutest little thing to sew! Last week, I sat down to sew a few new Christmas gifts for my family and friends. 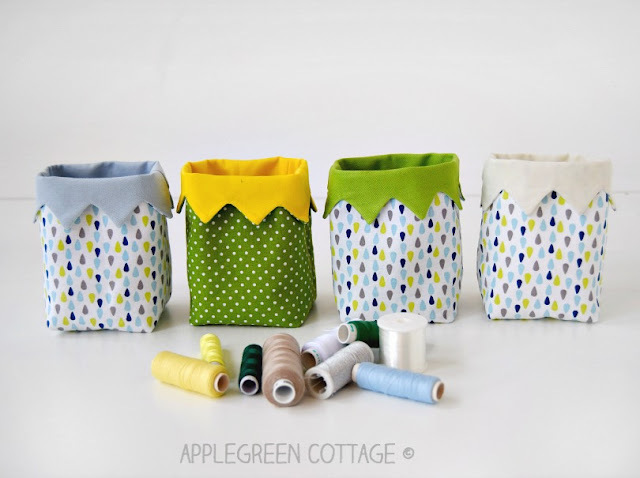 Noticing that I ran out of space for my thread spools, I thought I'd first make a cute little bin or two to hold the green, blue and white spools - the ones I use most often. That's how the KAIA Mini Bin pattern was born. Nothing difficult, but I find it so incredibly cute! PATTERN available HERE. Endless possibilities to organize your desk, craft room shelves, kid's creative corner, as well as that messy kitchen drawer. Tons of uses! My favorite use: for crafts supplies. Really, it's just perfect to hold your craft supplies. Fill one with satin ribbons. Or tiny colorful buttons. And put it on a shelf in your home. Adorable, I know! 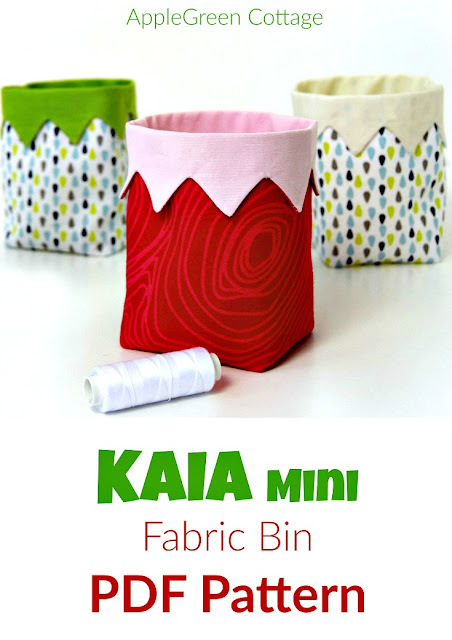 The KAIA Mini Fabric Bin is lined. It's reinforced by fusible interfacing to give it some body to keep its shape. Easy to sew and doesn't take a lot of time to complete. It requires little material to sew. A great scrap buster! What about the PDF Sewing Pattern? 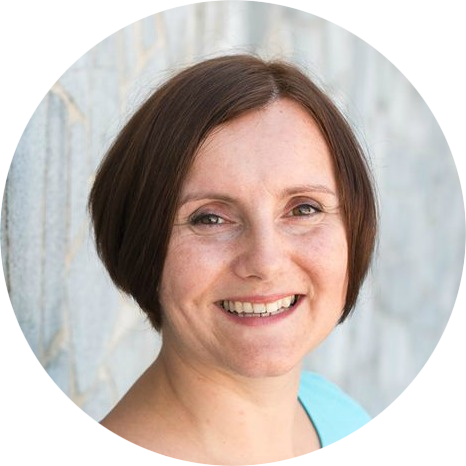 Let me be upfront: while I've made a lot of free PDF patterns for this blog, this one is a payable one. They make excellent handmade presents! It makes a great gift wrapping bag, but can work as an adorable little present itself: you can make three mini bins in matching colors, roll two of them together and tuck them into the third one. Voila, you've just made a perfect present for just anybody! 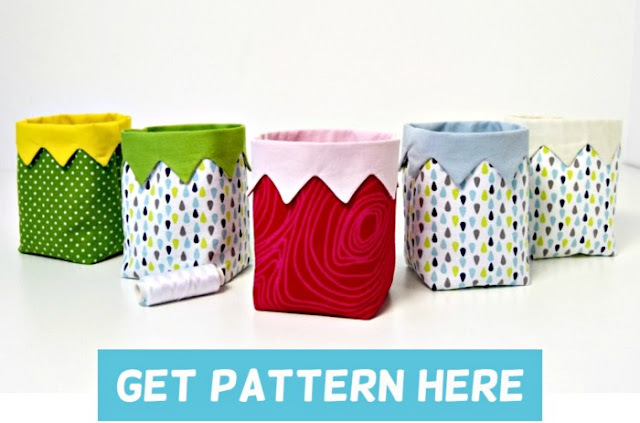 Or fill one of these unique, adorably cute mini fabric bins with a bunch of goodies and you're good to go! A crafting friend? 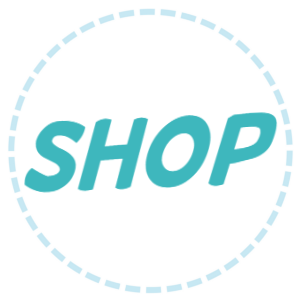 Add crafts supplies. Talk satin ribbons, or these cute colorful buttons by Riley Blake Designs. Sewing enthusiast? a bunch of pre-wound bobbins. Along with these cute Tulip Bobbin Clamps to keep the bobbin thread from unwinding. Or add a few spools of quality sewing thread and wrap them with these adorable Peels Spool Huggers (so colorful!). 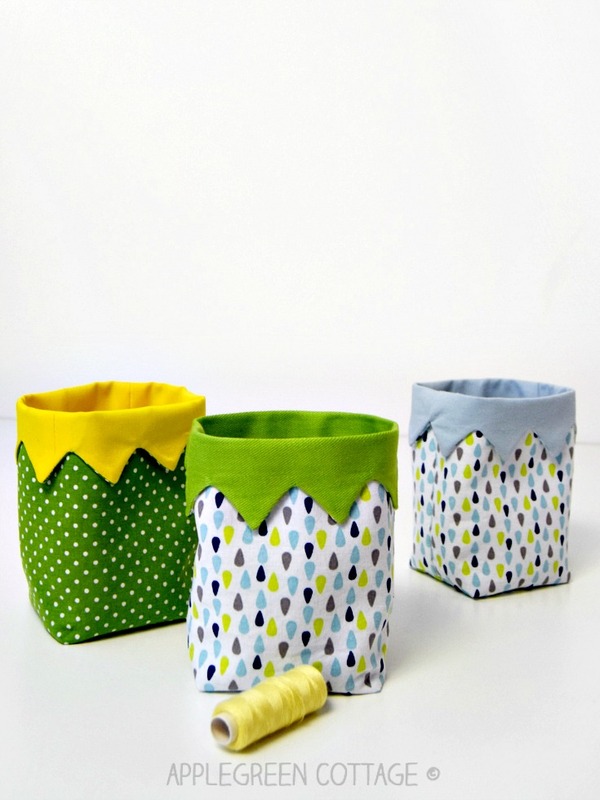 Should probably stop here...But I'm seriously thinking of making a list of like ...50 uses of these fabric bins! What a wonderful little pattern, thanks for letting me very it out! 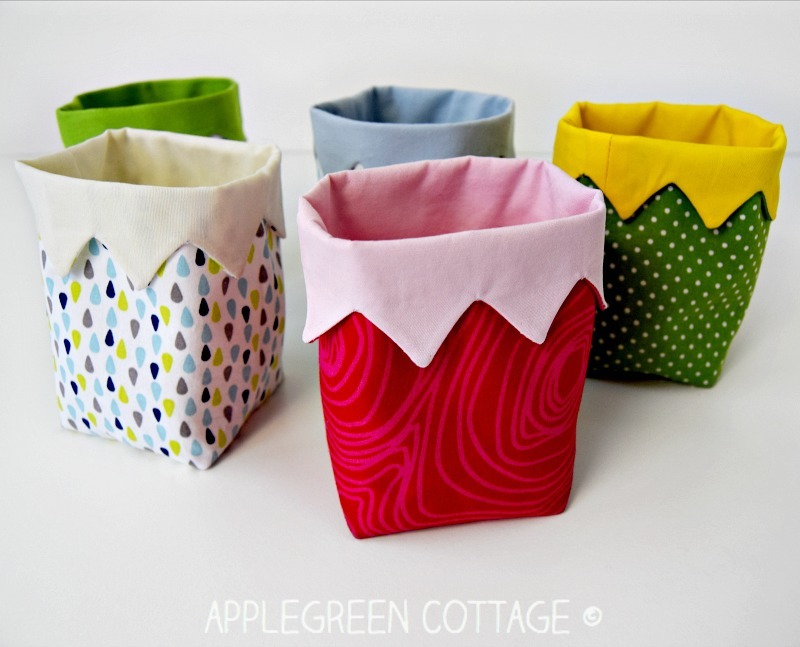 Absolutely love your take on the KAIA Mini Fabric Bin Pattern! 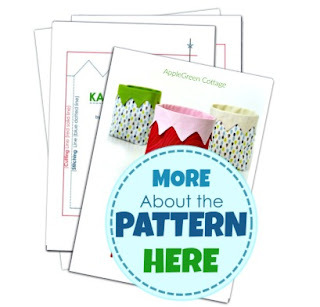 And your pattern tracing tip is great - makes the project even quicker! I've already included it in the latest version of the PDF Pattern on Craftsy (along with your name ;). Thank you for giving the pattern a go! Sew cute! Thank you for your creativity. Sue, thanks! I'm happy you like the fabric bin. Thanks! Agree - I too keep hand creams in one of them. Keeps my bathroom shelf neat and organized! What a cute little pattern. I think it would be a great addition to the things I make for the Pine Ridge Indian Reservation. The fabric bins could be filled with hair doo-hickies for girls--pairs of socks for babies--some toiletry items for adults--little cars for boys. I've been thinking of making a bigger version for my car. I have a lot of things in my car...a box of Kleenex...my sunglass clip ons...the Mentos and Tic-tacs that the kids like...the JoAnn Fabrics coupons...receipts...and so on. It would be nice to have a fabric bin to hold all these items in one neat place. all great ideas, and you're not gonna believe this: I have two bigger size drafts of Kaia Mini Bin waiting to go live already. Should be published very soon! I agree, sometimes you need a larger bin, and the large size I'm about to publish will, I believe, be perfect for your car too! What a fun fabric basket with the fold over bunting, Damjana. I love it!!! I've featured your baskets today. Oh Damjana they are so cute!! What a difference a small detail like the zig-zag top makes to a simple basket! Brilliant!